Give your chores to the devoted and experienced N.M. Ménage team. N.M. Ménage offers a full residential cleaning service. We are able to organize our schedule around yours, to be as transparent as possible. 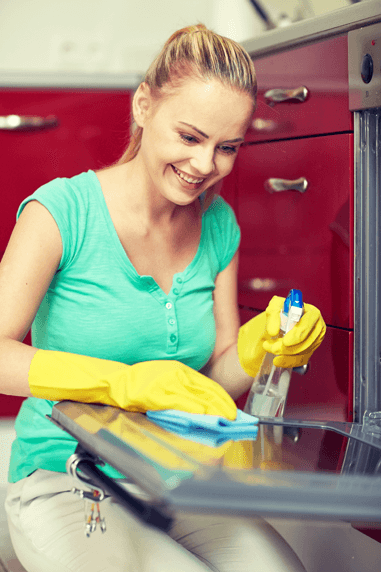 Leave your household chore to a dedicated and experienced team! Depending on the work load and visit frequency, our prices will vary generally starting at $50. We can serve you every week, every two weeks or even every four weeks..
Our mission is to offer to our clients the best cost/efficiency ratio possible. The N.M. Ménage staff members have many years of experience; it is our quality and reliability gage. We provide our own products and equipment. We are a proud member of the “Montreal better business bureau” and since the beginning of our association with the BBB, it has confirmed that N.M. Ménage has always shown an ethical behaviour and has therefore earned a perfect reputation. N.M. Ménage's philosophy consists in offering a quality service with a competitive price. We use products and equipment that respect the highest environmental standards. Contact us now and it will be our pleasure to meet you without requiring any engagements from you. A quick note to express my satisfaction on your services, your skill and the quality of your work. I renew my trust in your business and thank you for allowing me to 'Breathe' in my household duties with 4 teens ... I who works from home. Thank you! When I met Nataliya for the first time, I was feverish with the idea of leaving the responsibility to my house to someone. Eight years later, I must confess that I have never regretted having trusted NM Ménage! They are very helpful and we appreciate their presence because this is a team that takes its job seriously. For the household, I doubt to be able to spread the quality of work of NM Ménage! Before stopping my choice on the company with which i would deal with for my house cleaning, I met several companies and franchisees. From my first meeting with Nataliya in 2006, I was immediately convinced of my choice. His courtesy and professionalism have charmed me right now! Having a newborn baby young, the idea of having help to do my household robbed me a huge burden on the shoulders. Since I have never regretted having chosen NM Ménage. I even resumed their duties after a month break because I could not do without them! Every visit their work is impeccable and the people who make our residential cleaning have all our trust! I would refer NM Ménage without any hesitation!